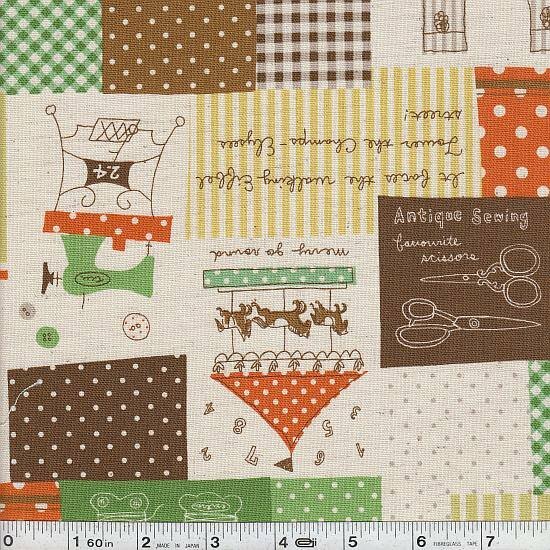 This fun patchwork print mixes Parisian themes with sewing items - all the inspiration you need for those French-inspired craft projects! This medium weight Japanese fabric is 85% cotton and 15% linen and is 43/44" wide. Price per yard.